Is Maryland the Next State to Approve an Individual Mandate? Maryland is getting closer to a state-wide version of an individual mandate that will encourage state residents to purchase health insurance. A bill in the Maryland legislature, if approved, would create a Health Insurance Down Payment Plan by 2021. Under the proposal, Maryland residents, when filing their state taxes, will be asked if they had health insurance coverage for the tax year. Residents that did not have coverage will be given the option to pay a $700 penalty or apply those funds towards the purchase of a qualified health insurance plan through the Maryland Health Connection, the state’s health insurance exchange. Residents must use the down payment to purchase insurance through the state exchange before the end of the open enrollment period. Any unused down payments would be applied to a state health insurance stabilization fund. The advocacy group, Families USA, estimates that 78,000 uninsured people in Maryland could buy insurance for no more than the penalty plus federal subsidies, and that another 50,000 uninsured could enroll in Medicaid. If this state legislation is approved, Maryland would join Massachusetts, New Jersey and Vermont in creating state individual mandates. Currently, Massachusetts and New Jersey have state individual mandates in place. Vermont will institute an individual mandate in 2020. There is a proposition to pass an individual mandate in California. States such as Hawaii, Connecticut, Rhode Island, Minnesota, and Washington also have been considering their own versions of individual mandates for residents. The District of Columbia put an individual mandate in place, effective January 1, 2019. As more states pass their own individual mandates, expect healthcare regulations to become more complicated and fragmented, adding new layers of complexity to what employers’ face in addressing compliance with the federal ACA. Another impact resulting from the individual mandates, which encourage individuals to get healthcare coverage, is the increase in the number of individuals going on the exchange and receiving Premium Tax Credits. Premium Tax Credits (PTCs), or cost-sharing assistance, are granted by the federal government to lower-income individuals who obtain health coverage through an exchange. If these individuals are employed and are not offered Minimum Essential Coverage by their employers, and/or that coverage does not meet Minimum Value or affordability thresholds, the employer can be subject to penalties. As the number of individuals who receive PTCs increases, so does the likelihood of employers being assessed IRC 4980H penalties. Under the ACA’s Employer Mandate, Applicable Large Employers (ALEs), organizations with 50 or more full-time employees and full-time equivalent employees, are required to offer Minimum Essential Coverage (MEC) to at least 95% of their full-time workforce (and their dependents) whereby such coverage meets Minimum Value (MV) and is Affordable for the employee or be subject to 4980H penalties. 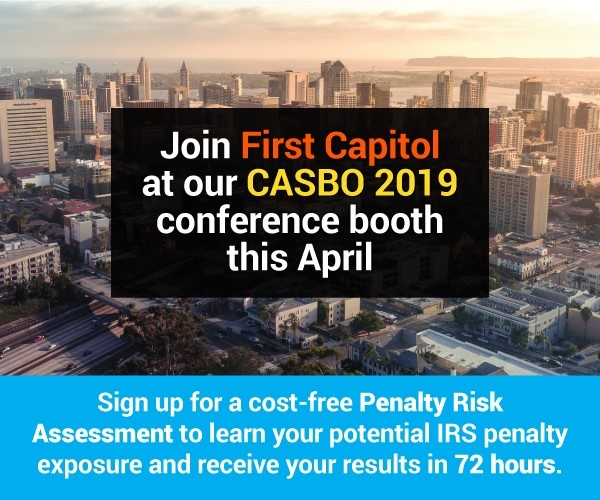 The IRS has started to issue a new set of ACA penalties to ALEs that focus on failure to distribute 1095-C forms to employees and to file 1094-C and 1095-C forms with the federal tax agency by required deadlines. These penalties are in addition to the 4980H penalties for not offering the required healthcare coverage. 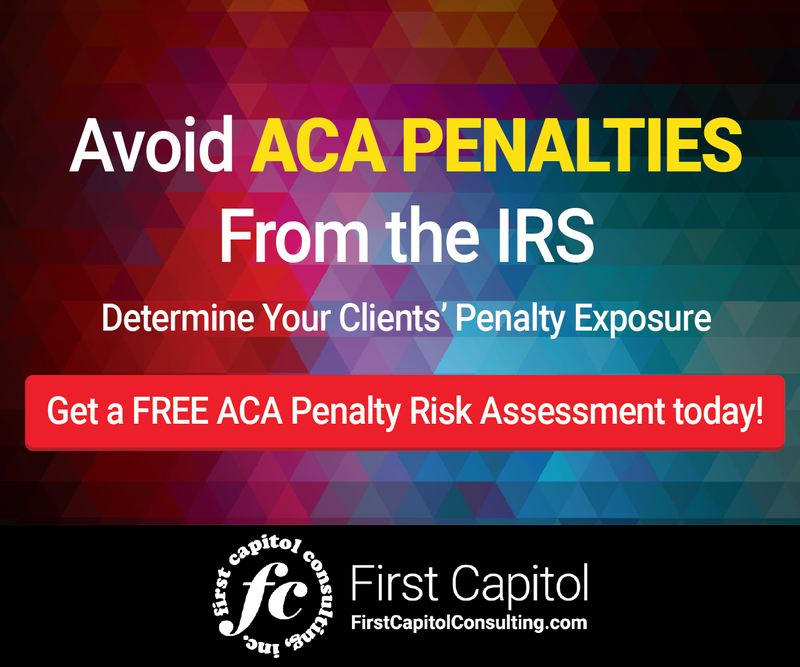 If you are an ALE and have not yet filed ACA information with the IRS for previous tax years, you may want to consider undertaking an ACA Penalty Risk Assessment. Some outside experts may offer to undertake this assessment at no cost. 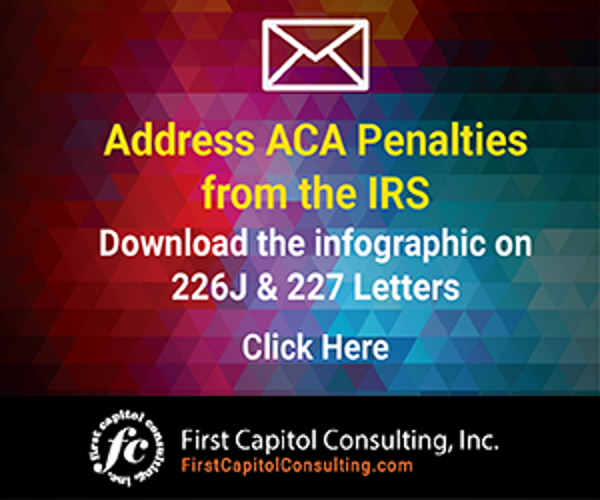 Such a review can reap dividends by helping employers avoid significant ACA penalties from the IRS. Maryland legislators are proposing a health insurance down payment plan to replace the ACA’s Individual Mandate.